A new bakery and creperie, offering coffee, tea and more, has made its debut in the neighborhood. Called Six06 Cafe Bar, the fresh arrival is located at 1641 W. Chicago Ave. (between Paulina St & Marshfield Ave) in West Town. This newcomer bills itself as an all-day Greek cafe featuring breakfast, lunch and dinner, according to its website. Six06 also offers grab-and-go bites, fresh baked goods, an espresso bar brewing Caffe Umbria coffee, as well as a full-service bar with beer, wine and signature cocktails. On the menu, expect to see items like an omelet with Swiss cheese, mushrooms, asparagus and mixed greens; a falafel pita with Greek yogurt and cucumbers; and a stuffed Gouda burger with caramelized onions and feta cheese sauce. There's a selection of mezze (appetizers) plates as well, along with "all-day plates" like pork kebabs with Greek fries and chicken au vin with vegetables and couscous. With a five-star rating out of eight reviews on Yelp so far, the new bakery seems to be a welcome addition to the neighborhood. 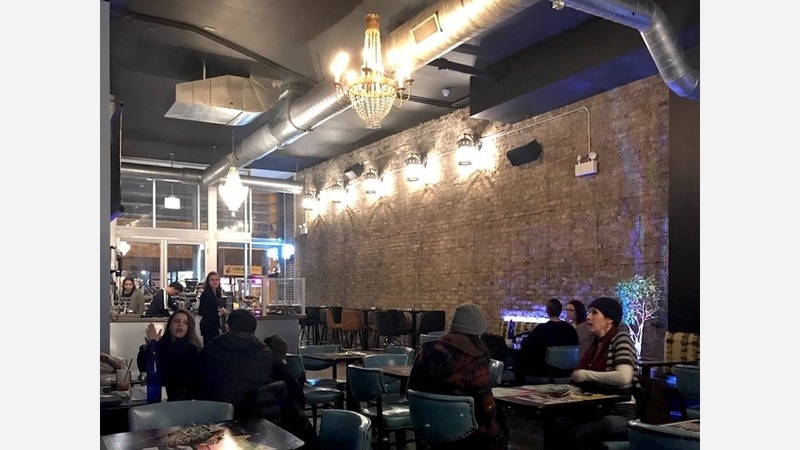 Ameer S., who was among the first Yelpers to review the new spot on February 10th, said: "Great addition to West Town. The block was empty of good late night spots a year ago, until Beatnik and now this spot, which also includes a rooftop when the weather becomes nicer." Yelper Julie S. added: "This place has lots of potential! I met a friend here for dinner last night. The inside isn't huge, and it wasn't busy. The colorful artsy walls, turquoise chairs, and fun chandeliers make the place very bohemian chic." And Sara J. said: "What a great addition to the neighborhood. This place has it all. They serve coffee past 6pm, offer small and large plates, crepes, desserts and even breakfast. With a full-service bar I can see myself meeting friends here for after-work drinks." Interested? Stop by to welcome the new business to the neighborhood. Six06 Cafe Bar is open Monday-Thursday from 8:30am-11pm, Friday and Saturday from 8:30am-1am, and Sunday from 8:30am-10pm.